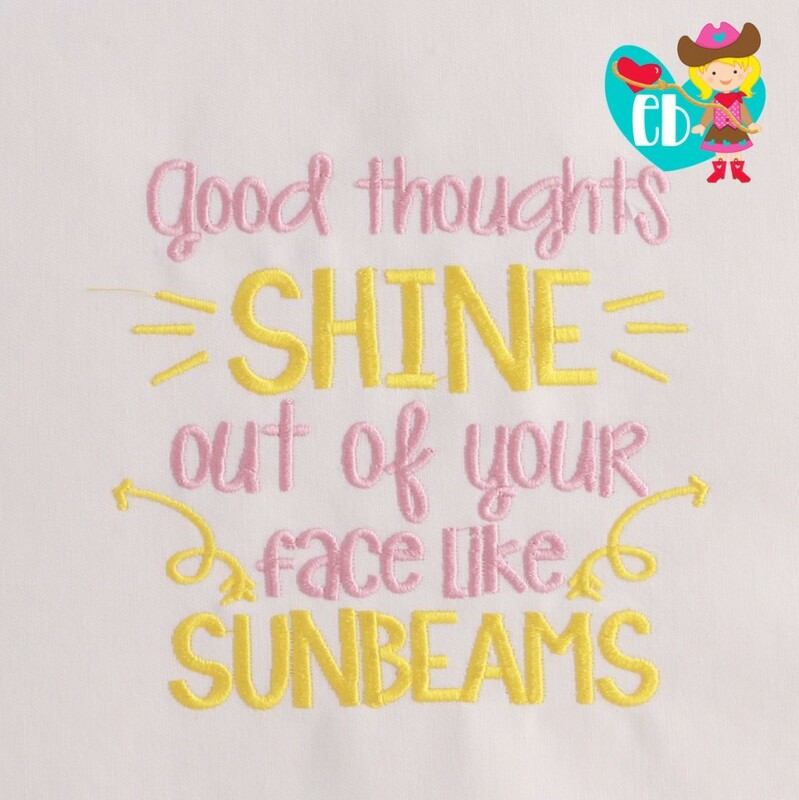 Good Thoughts Shine - 3 Sizes! This beautiful Inspirational design can be stitched on anything. It would be perfect on a pillow cover or a dish towel. Be Your Own Kind of Beautiful - 3 Sizes! Go Get It Girl - 3 Sizes! Today I Choose Joy - 3 Sizes! Frog Prince Applique - 3 Sizes!